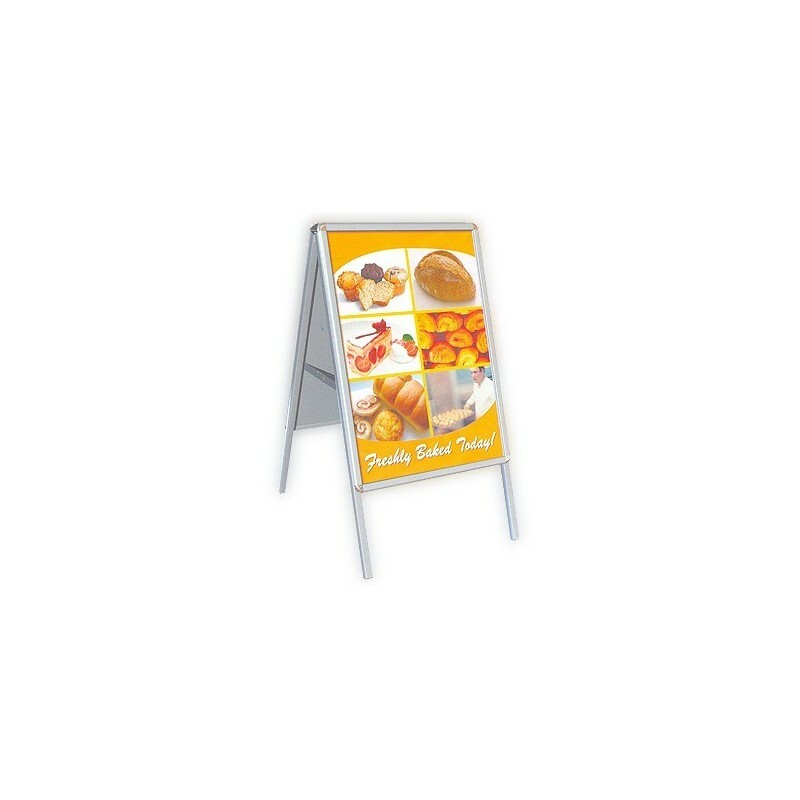 A frame sign (840mm x 595mm) double sided. Take advantage of passing traffic on the high street to let customers know who you are and more important where you are. 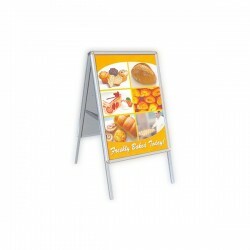 Sandwich board signs are ideal for promotions and special offers. Change the posters as often as you like, keeping your customer updated with special offers all year round. A1 A Frame or Sandwich Board. Our best selling front-loading ‘snap open, snap shut’ poster frame, A-Board with a 32mm profile snap frame with anti glare PVC poster cover each side. Easily setup in seconds and also a very inexpensive way to advertise directly on the main street. It has galvanised steel back panels for weight and stability and comes with hinged locking arms. Two high quality printed posters are included with this product.